Need help spending less money on otherwise expensive allergen-free products? Then you are in the right place! Here you'll get FREE recipes, coupons and other money saving deals in your inbox every afternoon, or in your feed reader. And you can also join the "FAB Family" on Facebook and follow along on Twitter! Thanks for visiting and we hope you find the coupon or deal that you're looking for! Remember, you can print 2 coupons…just hit the “back button” on your browser. More stores coming soon…leave your requests in the comments! Love me some almond milk…and love me some coupons for almond milk! 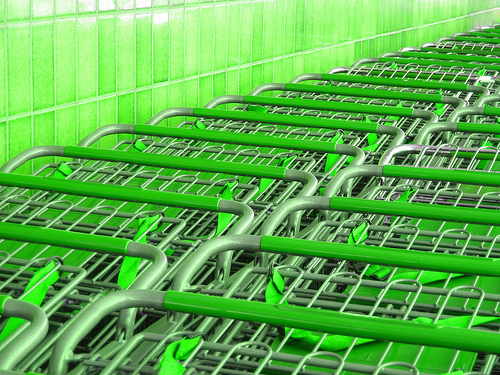 So many people think that being on a gluten free diet means you have to spend more money at the grocery store. And they’re right, but they’re wrong. They’re right in that it can cost more at checkout. But they’re wrong, in that it doesn’t have to cost more. More importantly, how can YOU do it? How can you not spend an arm and a leg on groceries when you’re on a gluten free diet? You want to eat gluten but don’t know where to start? You heard that eating gluten has to be expensive and complicated? 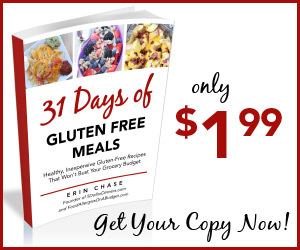 It’s not that complicated and I’ll show you how to eat gluten free for the next 31 days with my ebook — all for less than half the price of a bag of gluten free flour. I’ll give you 39 recipes that are gluten-free and that I’ve managed to make for less than $5 per meal. AND, I’m also going to toss in a few FREEBIES ~ a plan for a month’s worth of gluten-free meals, along with other free meal planning printables. 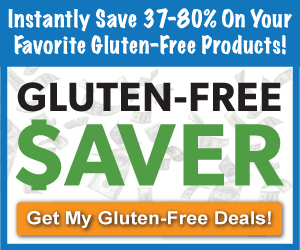 I want you to succeed on your “eating gluten free on a budget” journey, and I want you to discover how easy it is to save on groceries while eating gluten-free!! This e-cookbook is exactly what it says….it’s 31 Meals, one for each day….plus some extras because there were too many good ones and I didn’t want the best to be left out. 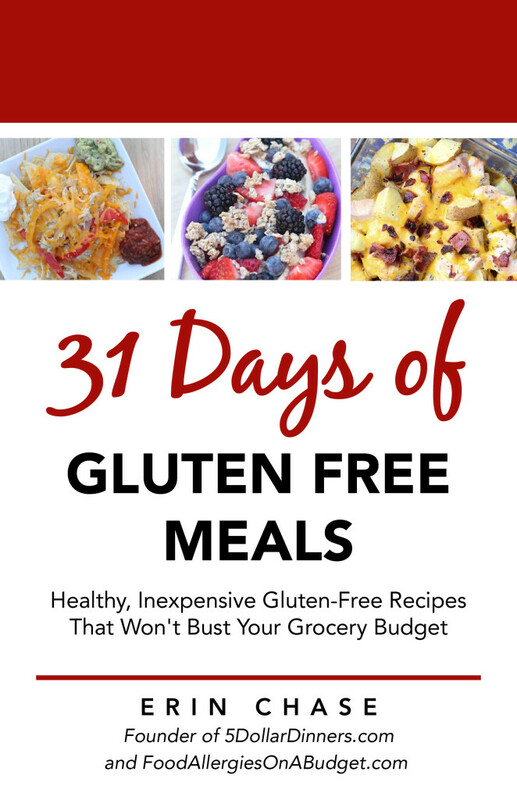 🙂 It truly is…HEALTHY, INEXPENSIVE Gluten-Free RECIPES THAT WON’T BUST YOUR GROCERY BUDGET! This site is for informational purposes only. I am not a physician nor a dietitian. Please discuss food allergies and intolerances, as well as safe products to use for you or your family with your dietitian or physician. Please check all labels on all foods purchased when dealing with food allergies. In an anaphylactic emergency, call 911 immediately.